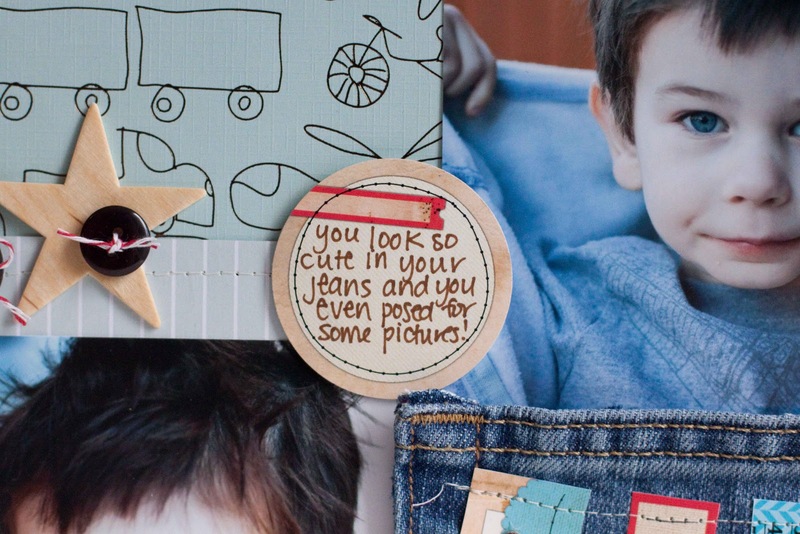 The cute background paper is GCD Studios, the wood veneer star is Studio Calico and the buttons are Basic Grey. I think the Jeans are Old Navy lol and I have PLENTY more denim to play with--any suggestions? 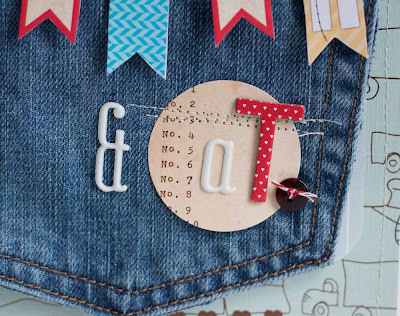 That denim pocket is such a fun idea! Love it. Loving all the new Elle's Studio goodies too! This is stinkin' cute, girl! Love the stitched pennants on the denim pocket! Fantastic layout!! What a great idea to put the jeans pocket on there and that banner...too cute! This is so super creative!!! I love it Rebecca!!! Very Nice Rebacca, LOVE that jean pocket!! So boy!! 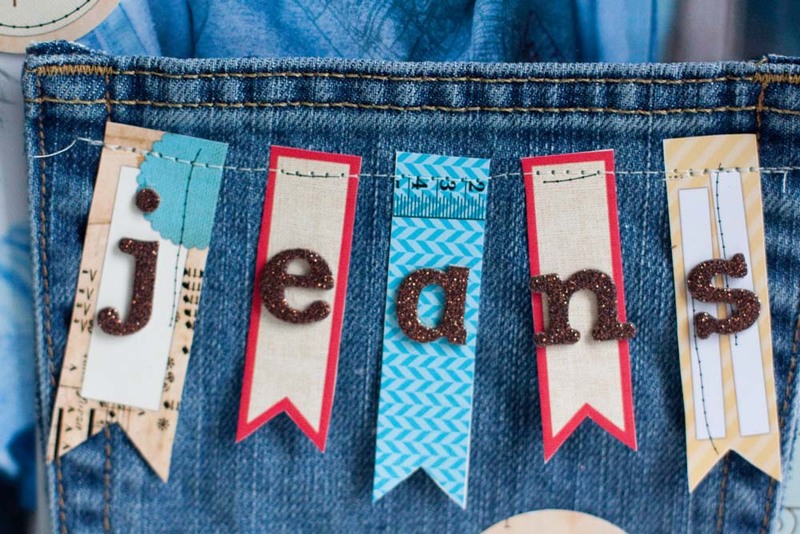 I just love how you've arranged your title on the pennants, on the denim! Love, love, love! Woowowowowowowow that looks AWESOME Rebecca I gott remember the pocket trip, hwta a gorgy photo of your little guy too! That is so fun! Time to start shredding that denim into strips it would make great trim. LOL! Great ideas! You are so talented! 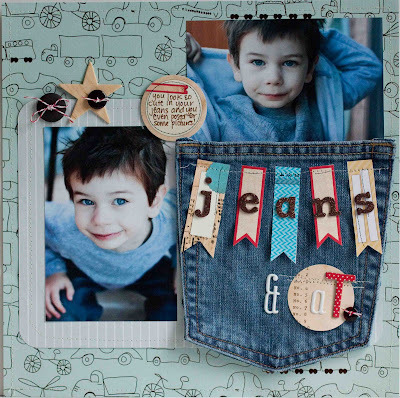 Awesome layout and what fab ideas!!! Love it! TFS! This is so stinkin' cute Rebecca!!!! I just love the banner right on the jeans, how clever!! Very very cute. pennants sewed on the jean pocket? LOVE IT! looooove the LO! Love the page design and the denim pocket is totally wickedly awesome.